I was approached to draw a cartoon recently for an event called the Whitstable Museum of Fun. They put out a call on Twitter asking for suggested themes for the cartoon. 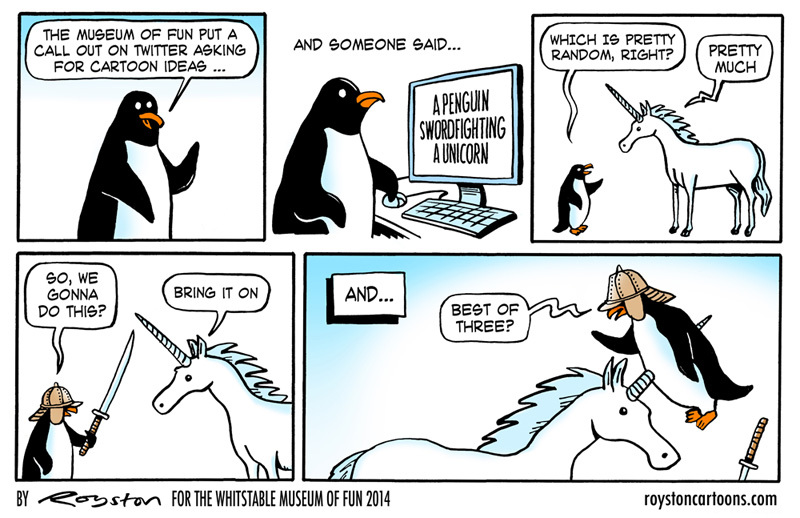 Many, as you might expect, were about local issues relevant to Whitstable residents, but someone, apparently in New Zealand, said "How about a penguin sword fighting a unicorn?" Well, how could I say no? The result is above. Click the image to enlarge. 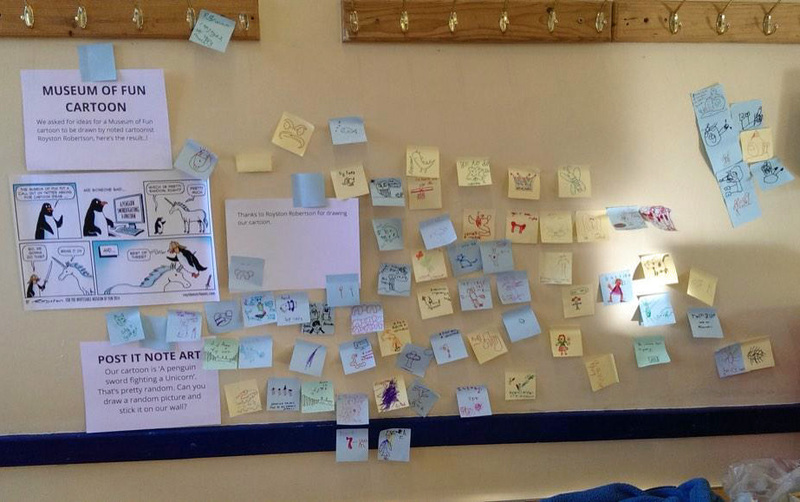 It was pinned up at the event and kids, who hopefully weren't too traumatised by the impaled penguin, use it as a jumping off point for their own "random" cartoons, drawn on Post-it notes (see below, click to enlarge). All good fun! Click here to buy Royston's cartoon book, one of which has a penguin on the cover!